Perfect for educational settings, Richeson Bulk Watercolor Paper is a machine-made cold press paper made from 100% wood pulp. 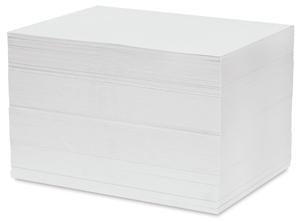 This acid-free paper lifts well, has no deckles, and is available in two weights. Bulk packs let you order only as much as you need.